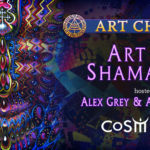 What is Art Church at CoSM? Each of us carry a spark of the Almighty Force of the Universe that seeks expression through our lives and works. 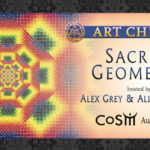 We gather as community to activate our creativity as spiritual practice. 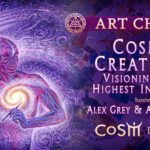 The Universal Creative Force is the Divine Artist and Cosmos is the evolving masterwork of Creation. 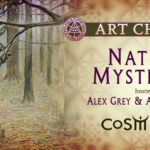 When we make art together, a new way of seeing may emerge. 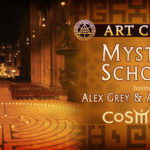 As Sacred Mirrors, we reflect and re-inforce the redemptive transformative power of art in each of our lives. 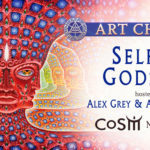 At CoSM, Chapel of Sacred Mirrors, Art Church is a Sunday afternoon event led by Alex & Allyson in the Grey House, where we draw our visions to music and discuss the topic of the month. Bring basic drawing materials, your favorite transportable art supplies — a sketchbook, pens & pencils. You can also bring a journal for noting thoughts or writing poetry. Paper, pencils and pens are also available at the door. 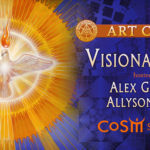 Alex & Allyson open the session with welcoming thoughts and reflections on the topic that might stimulate a vision. 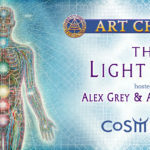 Inspiring spoken word poetry opens the silent drawing meditation accompanied by inspiring music. The meditation is followed by sharing the experience of creative silence together and the art or writing that resulted from the session. 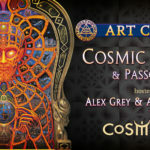 A break is next, to meet community members, visit The Mushroom Cafe and CoSM Shop. After the break, the topical presentation and discussion begins in the Library.